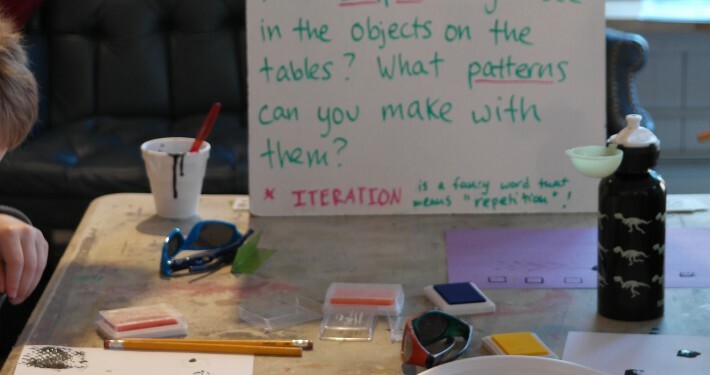 Our Juried Exhibition, Iteration, featured 37 artists from across the country and celebrated repetition and patterns of all kinds. 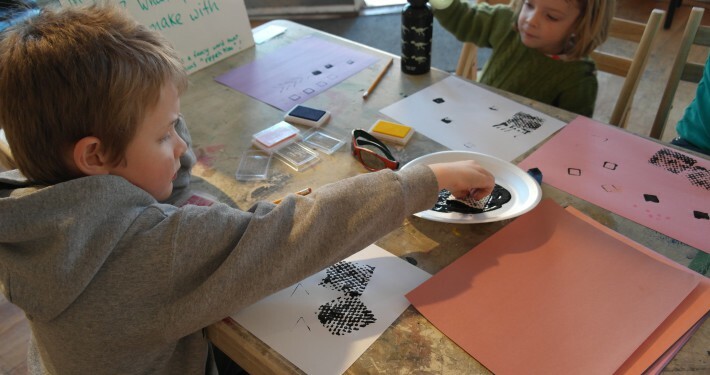 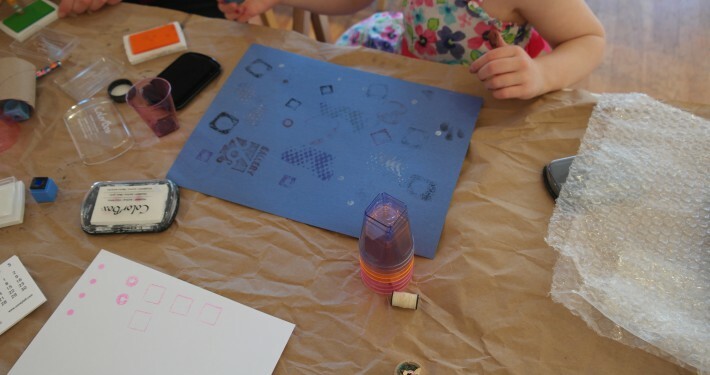 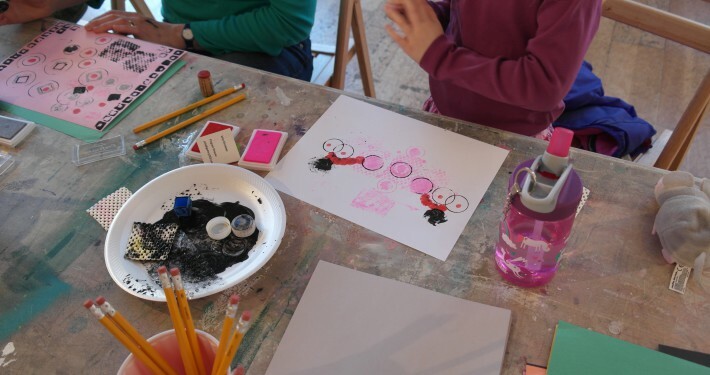 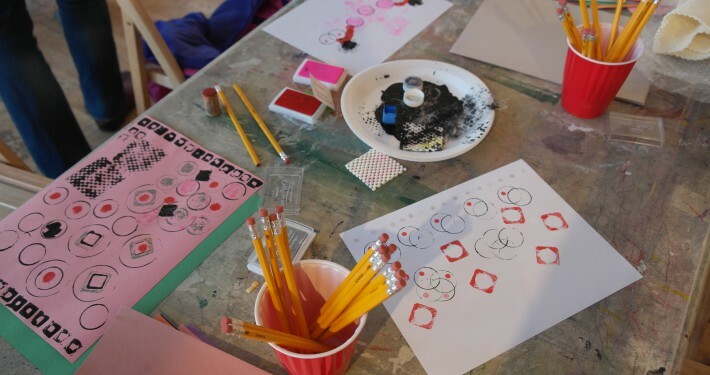 On an unusually warm February afternoon, Gallery 263 invited the neighborhood to drop in and make their OWN creations using simple printmaking techniques! 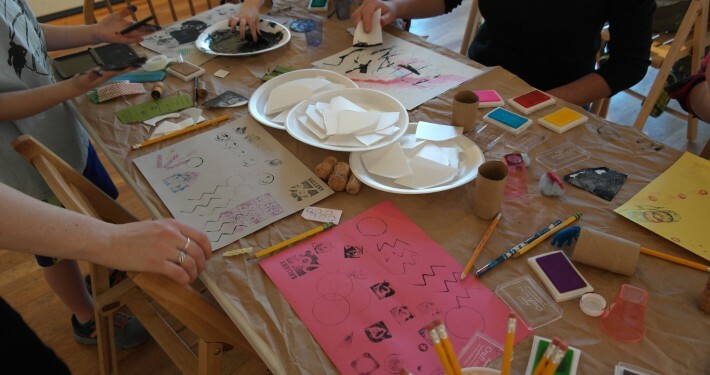 Dipping corks, erasers, bottle caps, bubble wrap, cardboard, and more into paint and ink, participants explored and experimented to make their own patterned masterpieces.